Progressive metal luminaries Monuments are back with their most innovative work yet in new album, Phronesis. The path to get there wasn’t an easy one, however. To support previous album, The Amanuensis,Monuments embarked on a two-year global journey. The transcontinental metallers sated fans and made new ones across Europe, Australia, South Africa, the United Kingdom, and the United States, sharing the stage with Protest the Hero, Animals As Leaders, Karnivool, After the Burial, and Devin Townsend. When Monuments returned home, it was time to heal up physically and mentally. The opportunity to mend minds and heal wounds not only fortified Monuments, it afforded primary songwriter John Browne space to craft Monuments’ best material to date. Coupled with vocalist Chris Barretto’s “blank slate” lyrical mandate, Phronesis isn’t about starting over but rather moving forward. While Gnosis and The Amanuensis paved the way for Monuments’ monumental return on Phronesis, it’s songs— really catchy songs—that set the multi-national outfit apart from just about any band on the planet. One listen to “A.W.O.L.,” “Vanta,” “Ivory,” “Leviathan,” and “The Watch” proves Monuments are on the leading edge of musical virtuosity, vocal superiority, and lyrical smarts. Progressive metal is ready for Monuments to take the genre to new heights with Phronesis. Deity’s Muse is a melodic alternative rock band based in Johannesburg, South Africa. 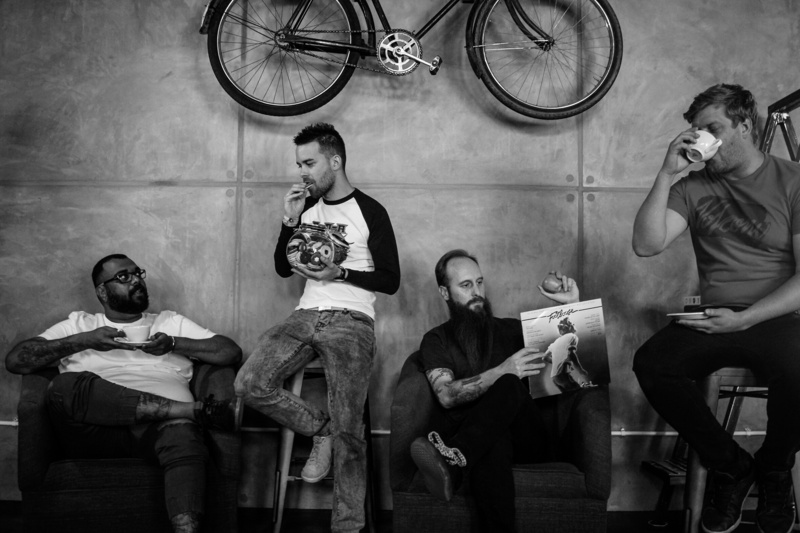 The band is an absolute juggernaut live and has featured on every major South African rock music festival. The band has shared stages in their home country opening for revered international acts such as Seether (US), Dead Letter Circus (Aus), Rise Against (US), Bring Me The Horizon (UK), Blind Guardian (GER), Unearth (US), Protest The Hero (CAN), Knorkator (GER), Affiance (US), Monuments (UK), 36 Crazyfists (US), Karnivool (Aus), Miss May I (US), SikTh (UK) and Blindside (SWE). Year’ award for Convergence at the annual South African Metal Music Awards ceremony. The album was produced by Clint Vincent, guitarist for Dead Letter Circus. In May 2018 Deity’s Muse opened for Seether to 6,000 people at Marks Park in Johannesburg. Soon after, it was announced that Deity’s Muse had been confirmed to perform at Bloodstock Open Air 2018, effectively making them the first South African band to perform at this prestigious festival. Following this, Metal Hammer debuted the band’s video for “Walls Down” which received 15,000 views in 4 days on the metal publication’s Facebook page. 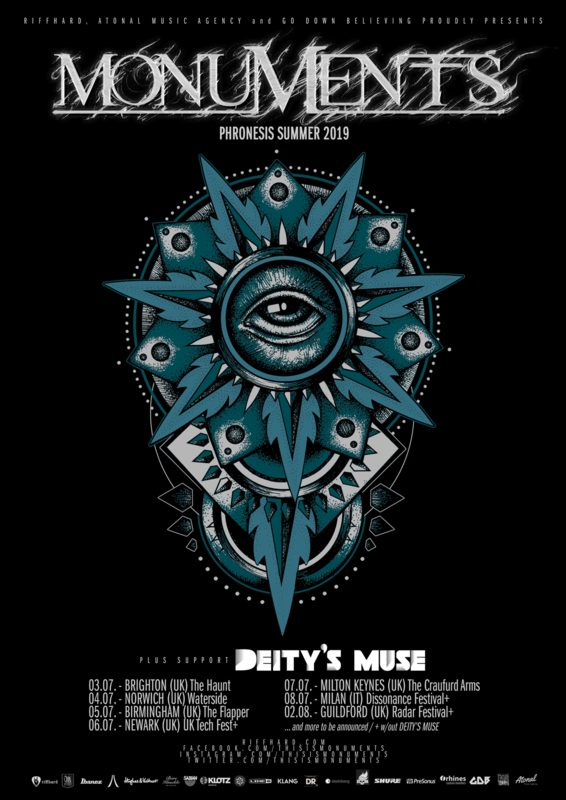 In August of the same year, Deity’s Muse embarked on their first ever co-headlining UK tour with Sumer announced as tour mates. This UK tour culminated in the band’s performance at Bloodstock Open Air 2018, opening the Sophie Lancaster stage at 11am on the Friday to 2,500 people.